Dr. Debra L. Gray brings more than 35 years of experience to the University of St. Augustine for Health Sciences’ Doctor of Physical Therapy (DPT) program. Prior to joining the university in 2006, Dr. Gray held faculty and administrator positions at several physical therapist assistant programs. She also teaches online courses for the USAHS Doctor of Education program and for the University of Indianapolis. Dr. Gray currently owns and manages Gray Therapy, Education, & Consulting (GrayTEC, LLC). Dr. Gray’s clinical experience spans a variety of settings with an emphasis on geriatrics and home care. 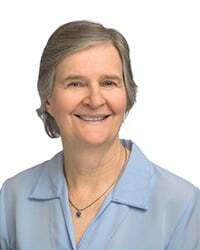 She holds several specialty certifications in geriatrics: Geriatric Certified Specialist, Geriatric Training Certification, Certified Exercise Expert for the Aging Adult, and Certified Aging in Place Specialist. She currently serves as a volunteer for the St. Johns County Senior Falls Prevention Program in St. Augustine. Dr. Gray is a member of the American and Florida Physical Therapy Associations, the American Geriatrics Society, and the Association of Interdisciplinary Doctors of Health Science. She currently serves as an on-site reviewer for the Commission on Accreditation in Physical Therapy Education (CAPTE), is a credentialed trainer for the APTA’s Clinical Instructor Education Programs, and is a member of the Academy of Advanced Item Writers of the Federation of State Boards of Physical Therapy.